Now work with a local Portland National Audio Visual and Computer Rental Consultant , who will always provided service first and a willingness to work within your budget. 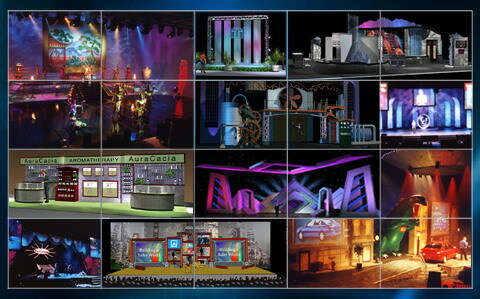 Rent your audio visual and computer services for most USA cities. When you are going to a tradeshow or special event out side of Portland>>>JUST ONE call to 503-477-8972 or duane@avequipment4rent.com and I will provide AV and computer equipment rentals with on site Service for tradeshows, conventions, meetings or events in my companies branch locations and national partners service centers. Are you one of the following: Conference Event Manager, Meeting Planner, Event Planner, Marketing Manager, Corporate tradeshow planer or Northwest Audio-Visual Equipment Company, . We provide a variety of services that are specifically tailored to your needs. Our experienced staff will work closely with you to insure a successful event. 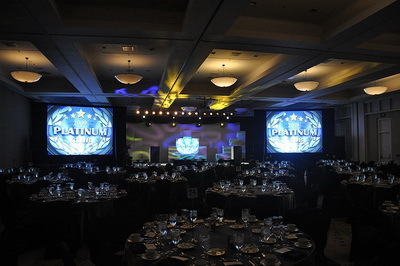 We specialize in basic meetings, corporate meetings exhibitor rentals, and special events. Our computer equipment and Audio Visual rental offices are staffed by full time, professional technicians. These professionals are 'backed up' by dispatchers, managers, and senior technicians. We know that when you want to rent, the difference between an ON TIME delivery with the equipment your requested means the difference between a successful business meeting, or missed ROI on your planed event. We guarantee to help you communicate more effectively. Let us show you how to make a positive impact that gets results using the proper rental equipment at locations away from your Portland headquarters.. The global meetings industry is expected to grow for a third consecutive year, signaling economic and corporate prosperity as well as a financial boost for hotels, airlines and convention centers, according to FutureWatch 2006, an annual research report from Meeting Professionals International (MPI) and American Express that was released last week. Expected changes in lead times, hotel rates, and attrition and price concessions suggest that demand for meeting space and accommodations may outpace supply in 2008. Meeting space lead time is projected to increase by 38 percent in 2006, from 29 weeks to 40 weeks on average. Meanwhile, lead time for hotel/support services is forecasted to jump 37 percent from 23 weeks to 31 weeks. Additionally, 76 percent of client-side planners and 81 percent of suppliers expect hotel rates to increase in 2007. Finally, 31 percent of client-side planners, 28 percent of intermediaries and 24 percent of suppliers predict that concessions and flexibility will decrease in 2006.